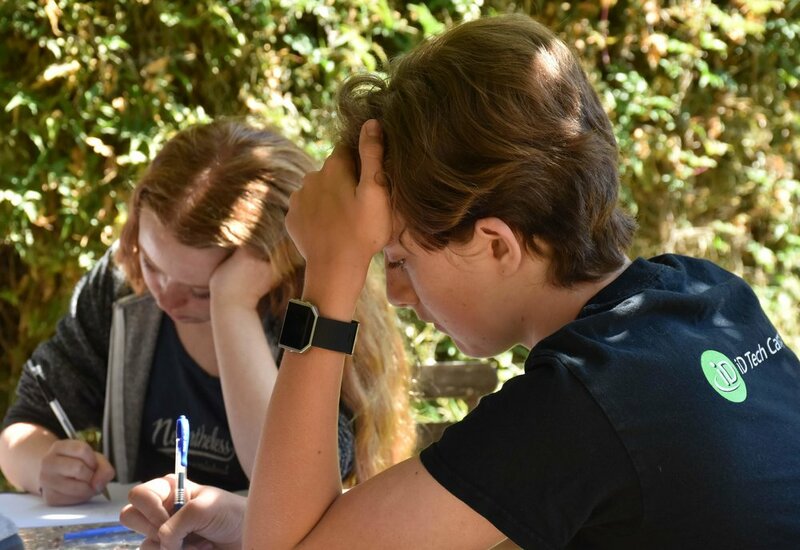 Our flagship camp, the Berkeley High School Program, includes a vibrant and dedicated community, instructors selected from the ranks of the best debaters in parliamentary debate history, and a curriculum crafted to help every debater grow. Whether you come to us with zero experience or five years as a competitive debater, we have the resources to help you improve. We divide students into groups on the basis of experience and goals, but our lab groups become so much more than just a learning location. Each group, consisting of 8-12 students and 2 instructors, becomes a haven for debaters to develop particular skills and types of knowledge. Since students spend most of their day in their lab group, they become a close-knit team— made even closer by the careful work of instructors to build community and focus. Lab groups learn argumentative skills together, and do drills to implement them, debate with and against each other, and try their skills against their instructors in gauntlet rounds. Lab groups make your debate friendships strong. At POI, our instructors help you grow as debaters and as people. With expertise ranging from high school parliamentary debate to Lincoln-Douglas, public forum, policy, individual events, NPDA, APDA, NFA-LD, and British Parliamentary debate, our program staff know pretty much everything there is to know about the art of parliamentary persuasion, and are ready to help you reach the top of your game. On our end-of-camp survey, we ask students what their instructors could do to improve their teaching. The most common response? "Nothing." Our camp days aren't just about rigorous education— they're also about building a sense of community, and developing a social learning environment. That's why, at POI, we arrange social events regularly: movie night, karaoke night, instructor-led games, birthday parties, outings into Berkeley, and afternoon cafe breaks, to name a few. But the best social events are the ones unplanned, which appear every summer, like spontaneous talent shows, dance parties, card games in the suites: those are what make POI a family.